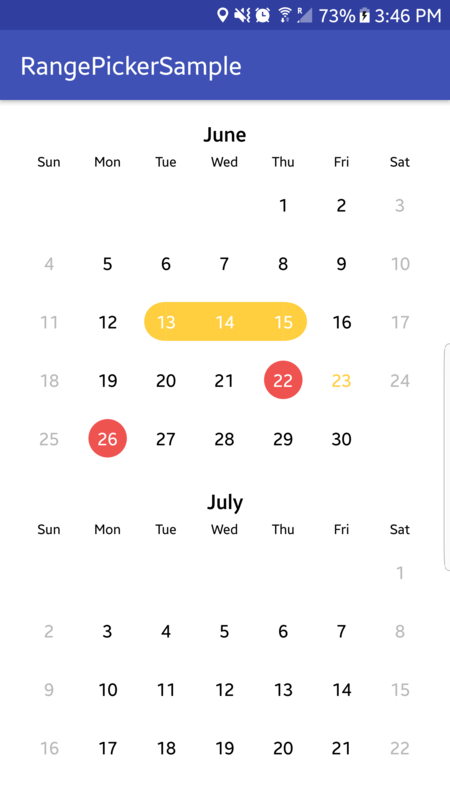 // highlight dates in red color, mean they are aleady used. Adding Deactivated Dates User wont able to select these dates they will be deactivated. 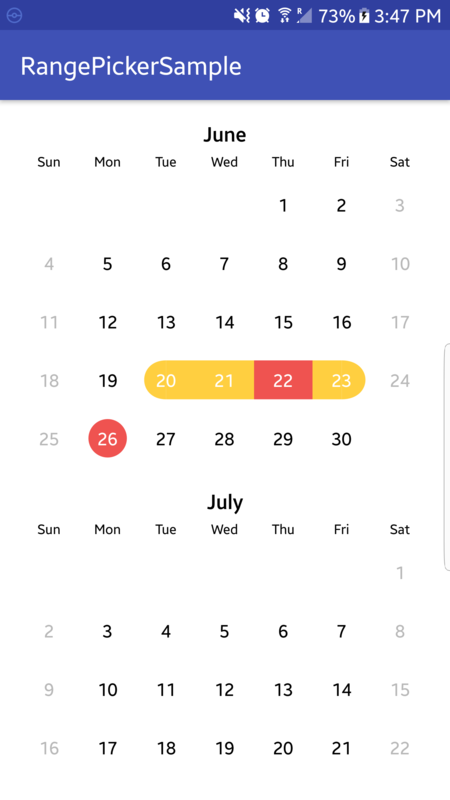 for eg, if you dont want to provide services on Saturday and Sunday you can mark them deactivated in that case the date text color wil be grey..
Getting Selected Dates You can get selected dates with the below function call when your user click finish or next button (which will you implement).